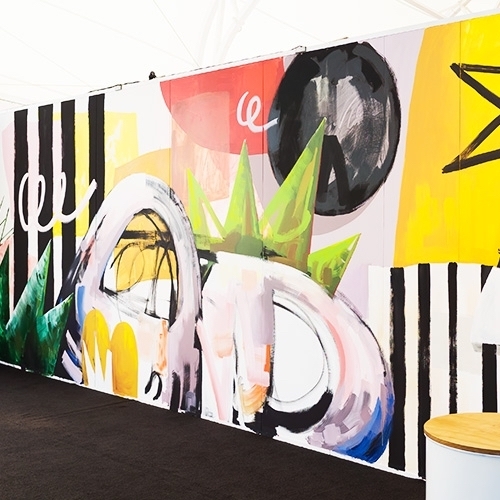 An unconventional curatorial approach at Auckland Art Fair 2019 creates an opportunity for collectors to discover new talent already vetted by the inner sanctum of the art world: the artist. 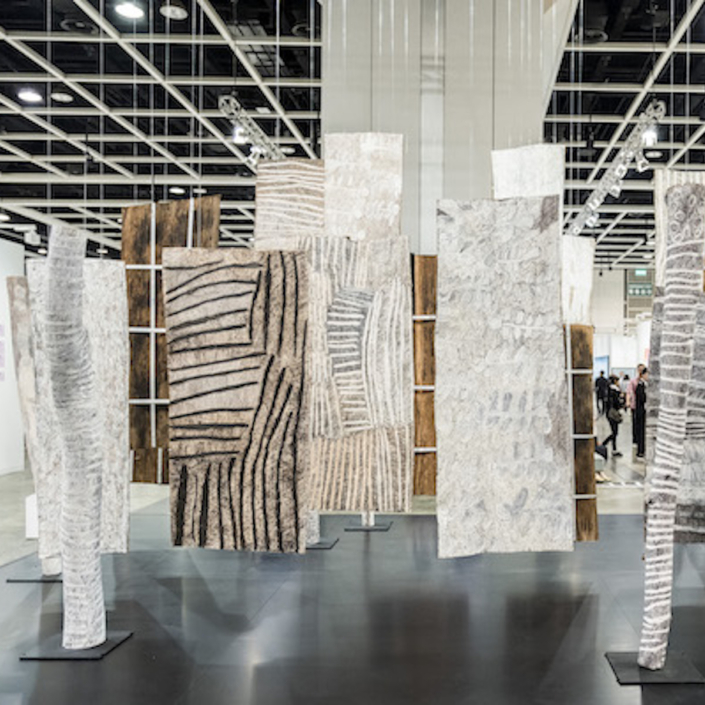 We’ve seen curatorial programs spring up within the art fair setting for decades now. But New Zealand curator Francis McWhannell is taking the notion one step further. Following the success of the last two Auckland Art Fair Projects programs, he’s devised an unexpected method to create this year’s iteration. Despite being the sole curator of the Projects this year (he was joined by Te Tuhi artistic director Gabriela Salgado in 2018), McWhannell’s latest method is anything but individualist. Entitled Whanaungatanga – an expression in Te Reo Māori that in English could be translated as kinship – the program was devised around principles of community and collaboration, incorporating these values into both the artist selection process and the works on display. McWhannell explains that he wished to acknowledge his repeated affiliation with certain artists and, by some measure, to counteract it. After asking himself, “What’s an alternative to the standard open call?”, McWhannell came to a model in which previous participants from the 2018 Projects – nine artists, plus Salgado – were invited to either nominate a new artist to present at the fair, effectively passing on the baton, or to actively collaborate with another artist. Indeed, as one makes it through the list of Projects alumni and their latest feats, it becomes clear that such a program not only adds a rich texture to the art fair context, it also builds stronger networks and long-term opportunities for artists beyond the booth. 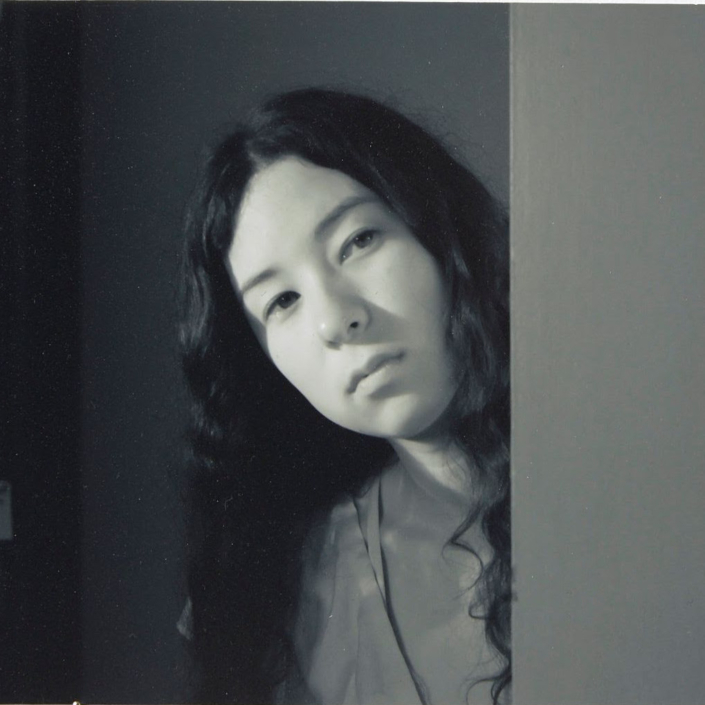 Of the 10 alumni approached, six have chosen to nominate another artist for a solo presentation, while the remaining four will collaborate with or aide their nominated newcomers. Pataialii, for example, has nominated fellow Auckland-based painter Ruth Ige – an artist whose work she admires, but whom she has never met in the flesh, while Raukura Turei (who was approached to show at the Adam Art Gallery Te Pātaka Toi as a result of last year’s fair) has nominated Nikau Hindin. Tim Wagg – whose McCahon House Residency will coincide with this year’s fair – has nominated Ammon Ngakuru, while video artist Louisa Afoa has nominated Layne Waerea. Salgado has nominated UK artist Faisal Abdu’Allah, who will be creating an offsite performance. Amongst those who have chosen to collaborate is Sarah Callesen, who will be working closely with fellow Auckland-based sound artist Rachel Ashby to create a performance based on the International Code of Symbols – a visual system used by vessels to communicate important messages regarding safety. The duo will produce a series of flags to be installed around Britomart for the duration of the fair, which will be activated during a one-off performance involving a group of 26 musicians. Australian artist Kay Abude (commissioned by Govett Brewster Art Gallery to make uniforms for gallery staff after her Love Thy Labour presentation last year), will also be collaborating with her compatriot Caitlin Patane, while the mysterious PāNiA!, who has (as is her way) interpreted the rules rather cheekily, will be presenting a work made in collaboration with McWhannell himself (incidentally, PāNiA! will also be showing at Te Tuhi during the fair). Taking a slightly different tack, Hikalu Clarke (recently returned from his Gasworks residency in London) and Hannah Valentine both chose to nominate other artists, but to aide them in their presentations. Clarke will be working with fellow Whitecliffe alumna Rainer Weston, while Valentine will be working with James Wylie for a second project supported by Aotearoa-based leather goods designer, Deadly Ponies. Image: Christina Pataialii, west, 2018. House and spray paint on wall. 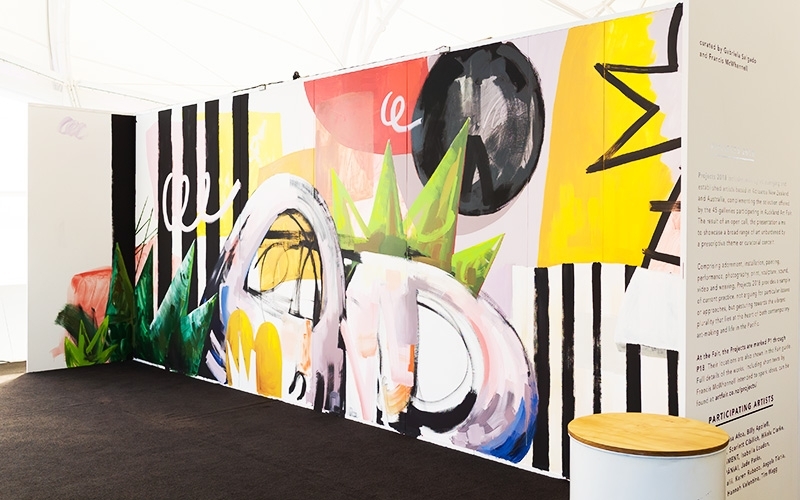 Installation view, Auckland Art Fair, 2018. Courtesy: AAF, Auckland.